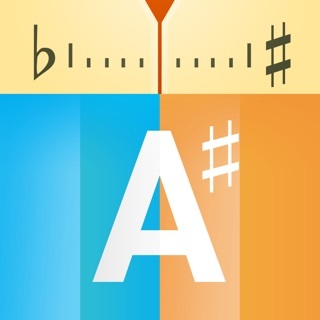 • The MuseScore Pro subscription gives you unlimited access to the app's premium features and musescore.com website's premium features. * Price are equal to the value that "Apple's App Store Matrix" determines is the equivalent of the subscription price in $USD. I started using this app so that I could use Finale files on my Mac Book Pro and my iPad after the creators of Finale Notepad threw Mac devices under the steam calliope. For a while, it worked well on my Mac and I could post my music to the online server and then access them on my iPad. Now, it seems clumsier, and I can see only five of my songs at any one time on my iPad, unless I upgrade to “MuseScore Pro.” I seem to remember paying for the app in the first place, so I am certainly unhappy to be asked to pay again. When I have contacted “support,” my questions always seem to be misunderstood and are not adequately answered. After about five tries when I asked why I could see only five songs on my iPad, I finally was told 1) I needed to pay yet again; and 2) there might be a fix for this problem in January. I am afraid to click the update button. So I would have given the app at least four stars, mainly because of nearly non-existent instructions. Now, it gets no more than two, and since it has limited usefulness to me, that’s a generous gift. Since the MuseScore Songbook app was retired and replaced with this app—which, as I understand it, new users actually have to pay a consistent fee to use—I’ve almost never been able to functionally listen to scores on my phone. When I download a MuseScore file, it’s a gamble as to whether it’ll stay in my Songbook or just display an indefinite loading screen. If I manage to get past that, sometimes scores will just crash while playing, often on their very first page, even if they’re very simple scores. Then, somehow, if I get lucky enough to be able to play an entire score, I have to grapple with extremely finicky and unclear controls. If I want to skip back to a specific measure, I’m left struggling with the unresponsive page-turning mechanic and have to try multiple times until the app will let me select my desired measure. Of course, that’s all assuming the UI is even showing up around the score in the first place; I think you’re supposed to tap to bring it up and tap again to see only the score, but it’s more like it decides at random. have maintained the already mediocre quality of the old Songbook app. Instead, the drop in quality is beyond baffling. Please invest in hiring legitimate app developers, and maybe a MuseScore subscription would finally be worth recommending. The app has lost features that I used. The functions that are there don’t work correctly most of the time. I have contacted the company and have not received satisfactory answers. I paid for Pro so I would have access to advanced features on the app which allowed me to transpose the music and export PDFs of the music transposed and by single part if needed. I can no longer do that. The company has stated they are considering restoring those features, however, I can no longer use the app as I intended to. As the app is no longer of use to me, I stated I would pay for the months that I used, and requested a refund for the balance of that year. They have refused to refund my money or any portion of my purchase. They told me that I need to use a PC instead. That is not why purchased Pro which include the app. I would like to use the app the way it functioned in the past, if it does that in the near future I may change my rating, but for now serious disappointment in the app and the company’s response.